My friends, I have bad news. Departed. Gone. Lifeless. Kaput. Defunct. Broken. But wait, that’s not all…. In past posts, I’ve given some examples of How This Physician Could Retire by 45 and then Why I Won’t Retire by 45. I keep teasing you with this idea of retirement and keeping you pushing towards this lofty goal of financial independence. Yet… doesn’t it feel so far away? You wonder if you are ever going to get there. I believe that this feeling really captures what so many of us are going through. Are we ever going to be able to retire while we are relatively young and healthy… or heck, even retire at all? For me, I do believe that retirement is dead. For you, maybe not so much. You see, I’ve become a serial entrepreneur and this has caused the concept of retirement to die for me. This is for a whole variety of reasons. The number one biggest reason? The debt load that I took on when I acquired my practice. Check out my post on Why I Won’t Retire By 45 to find out more behind that and My Faith and My Finances. Basically, these life lessons from that acquisition hasshowed me how tentative everything can be. I don’t want to rely on just one income stream. I need to have several income streams. Actually, I take that back. I want to have frothy, income rivers bubbling over with income. You can check out one of them at Behind The Velvet Rope as I open up in full transparency at how I created one particular income stream. As a matter of fact, I’ve become quite addicted to this process. I DON’T TRUST THE GOVERNMENT. It’s sad, but true that social security is not likely to be what it is today. Something has to be done. For me in my late 30’s, I am not planning on social security being there at all. It’s absolutely true that even the worst of projections has the government covering about 70% of the current benefits. Nonetheless, I believe that taxes are going up and benefits are going down. This means we need to have more cash flow to cover our goals and needs. I’m not really sure I would enjoy golfing all day (never golfed 18 holes… just good ol’ mini golf) or skiing (never skied either… I know I’m boring) or volunteering all day (I like it, but I like earning money more). If I’m honest with myself, I like money and I like what it can do for me. I want to leave an inheritance of wealth and knowledge for my kids and grandkids. I want to employ dozens of people and create some amazing organizations. These are some super big dreams. For me, this means I could easily plan on working through my late 60’s or even 70’s. Of course, I want to achieve financial freedom long before that time. Anyhow, that’s the plan which gives plenty of room in case things go wrong and it also sets my expectations so that I can easily outperform them. You know… you’re probably right and I resemble that remark. There are plenty of physicians that have worked towards retirement goals without multiple streams of income. These physicians save and save and save some more. They save in a bucket for their emergency fund. They save in a bucket (or two or three) for their retirement (like a Back Door Roth IRA). They save in a bucket for the kids college. They save in a bucket to pay off their student loans. They save in a bucket to pay off their mortgage. Then, they save and save some more and next thing you know- they are retired and completely debt free. Maybe they retire at 50 or 55 or 60 or 65 depending on their circumstances. They enjoy golfing and skiing (or not)…. But more than anything, they don’t want to have to work again. They are DONE with work. Consider it for a moment. The long days and nights. The time spent away from family. Many physicians that I speak with start with such passion for helping others. Their tank is completely full. Slowly over time that passion drips out until there’s not much left in the tank. If you are sitting here and can relate to this, make sure to check out 3 Steps to Financial Freedom for Burned Out Physicians. The good news is that while we aren’t in the golden age of medicine it is still a lucrative career. 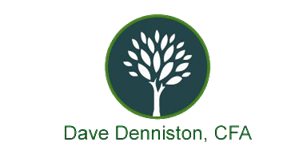 For our specialist friends, they have an amazing opportunity to get out of debt fairly quickly. For those of us in primary care, we have to be much more diligent and focused if we want to retire before age 60. There’s a much smaller margin of error. What do you think about this topic? 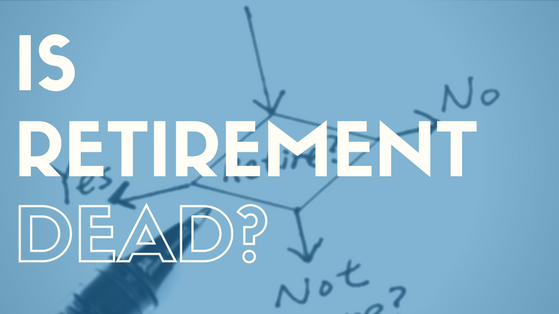 Is retirement dead for you? Am I crazy or off-base? What do you think retirement should look like? Let me know what you think. Send me an e-mail at [email protected] with your advice and feedback.